Is your or your neighbour’s property located on higher ground? When installing a fence where there is a soil height variation between the two properties, you will need some form of retaining. Generally, it’s the responsibility of the person who added or removed the sand to ensure that the soil is adequately retained, but it is important to check the specifications with your local council. Plinths! Specifically, ALLYWALL & Gramline® for your COLORBOND® fence. In properties where the soil height variation is greater than 300 millimetres, a powder-coated steel post measuring 50 x 50 mm is concreted into the ground for additional stability, with the plinths then being placed on either side of the post (as in photos above). 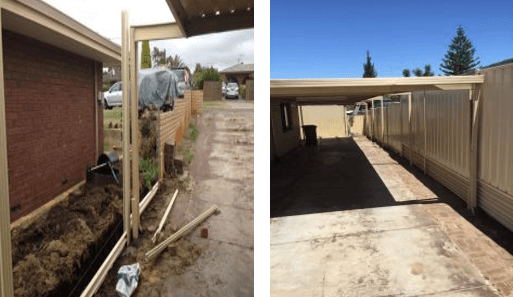 The start of a COLORBOND® fencing installation with plinths shown on the left. Completed version on the right. Can be placed on the boundary line with the fence above, which ensures that no land is lost. 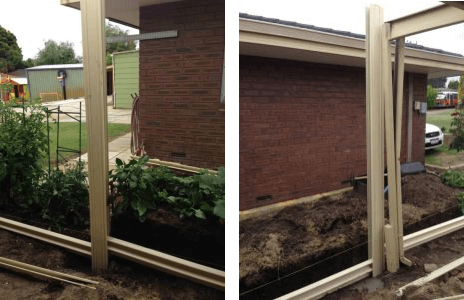 They integrate seamlessly into the COLORBOND® fence and are hardly noticeable. Plinths are easy to install. 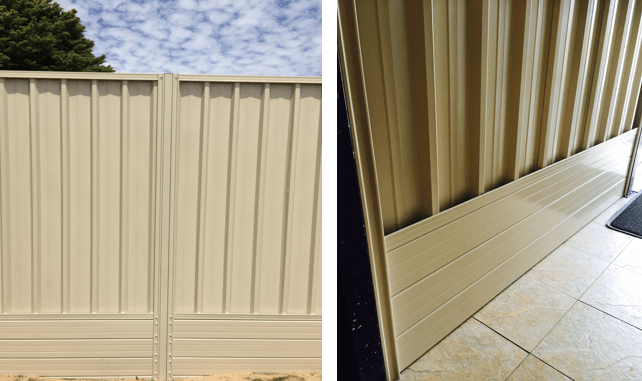 There are two types of retaining you can get for your COLORBOND® Fence install. Comes with a 10-year warranty. Comes with a 10-year warranty. 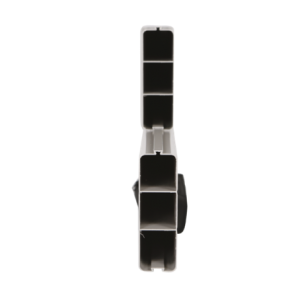 Joins together with an interlocking system that is stronger than Gramline® and stops debris from falling through. Can be powder coated to any colour including the COLORBOND® range of colours to match your fence. Comes in the COLORBOND® range of colours only. Won't twist and warp over time. Won't twist and warp over time. 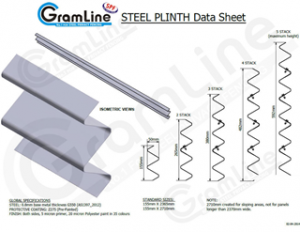 Gramline® is a retaining solution that is well suited to many applications. Made from quality pre-painted steel, it is durable, eco-friendly and attractive. 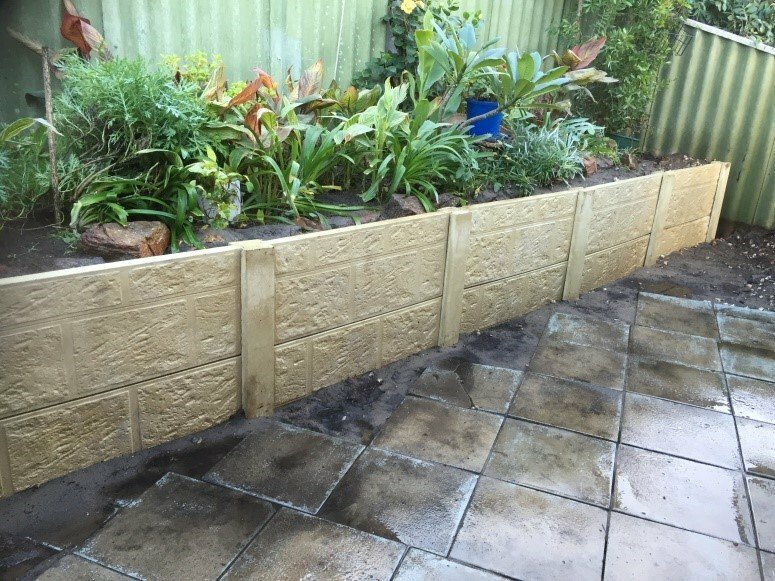 The plinths do a great job of filling in unsightly gaps under your fence and keeping out grass, weeds, dirt and refuse. This type of plinth complements COLORBOND® privacy fencing really well. It can be made to match the colour of your fence perfectly (choose from a variety of colours), and its clean lines and stylish zigzag design add an elegant modernity to your premises. Gramline® (see example images below) COLORBOND® plinths are capable of retaining up to 600 millimetres in height and 2.4 metres in width. They do not rot, they aren’t affected by termites and they do not leach harmful chemicals into the ground. ALLYWALL, like Gramline®, is durable, environmentally friendly and complements COLORBOND® fencing beautifully. It is also used to compensate for uneven ground levels and keep out weeds and debris. However, there are some differences and advantages. In comparison with Gramline®, ALLYWALL plinths are flat and don a smoother finish – a look that some clients prefer. In addition, Allywall is thicker and interlocks to ensure that your COLORBOND® fence never moves. This does make the product more expensive, though. Another advantage with these COLORBOND® plinths is the retention capacity. 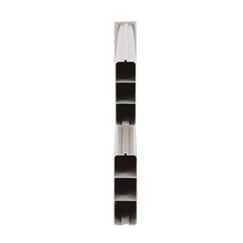 While both Gramline® and ALLYWALL can retain up to 600 millimetres in height, ALLYWALL can retain up to 3.1 metres in width. Some COLORBOND® installations featuring ALLYWALL plinth. Although plinths cannot be installed on every property, they offer numerous benefits on properties where they can be used – especially when supplied by Team Work Fencing Contractors. Not only are TWF products manufactured right here in Australia, but either ALLYWALL or Gramline® plinths are guaranteed not to peel, warp or chip. It is made to last. Because there’s less waiting for concrete to set, installation is quicker than with traditional retaining options. Then, of course, under fence plinth price quotes often work out to a fraction of the cost of other retainers. Durable – guaranteed not to warp, peel or chip. The perfect complementary product for your steel Colorbond fencing. Environmentally friendly – no toxic chemicals. Fast installation – no waiting for retaining walls to set. Cheaper than traditional retaining wall options. Available in a range of colours to match your fence and home. 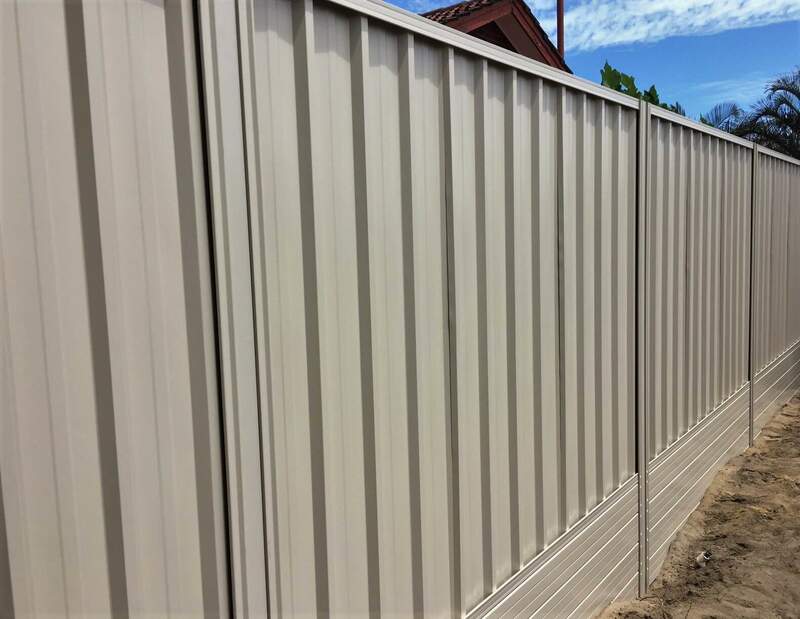 Another option offered by Team Work Fencing is concrete post and panel retaining walls, which is a favourite among residents in Perth and Bunbury because it offers the strength, durability and a variety of different looks. Let us make a recommendation for you. Receive a No Obligation quote on Colorbond Plinth Prices today!